Defense Minister Avigdor Liberman says Israel retains freedom to act to defend itself against Iranian aggression anywhere. Israeli Defense Minister Avigdor Liberman on Monday signaled Israel could strike Iranian targets in Iraq if they threatened Israel, saying it would hit wherever necessary. "We will face any Iranian threat, no matter where it comes from," Liberman said in response to a question about reports that Iran had provided ballistic missiles to allied Shiite militias in Iraq in recent months. "Our freedom of action is total," he told a conference organized by an Israeli media company. Israel has pledged to stop Iran, its main enemy, from entrenching itself militarily in neighboring Syria, where Tehran is backing President Bashar al-Assad's regime in his country's civil war. Israel also acknowledges carrying out dozens of strikes in Syria against what it says were advanced weapons deliveries to Hezbollah, the Iranian-backed Shiite group. 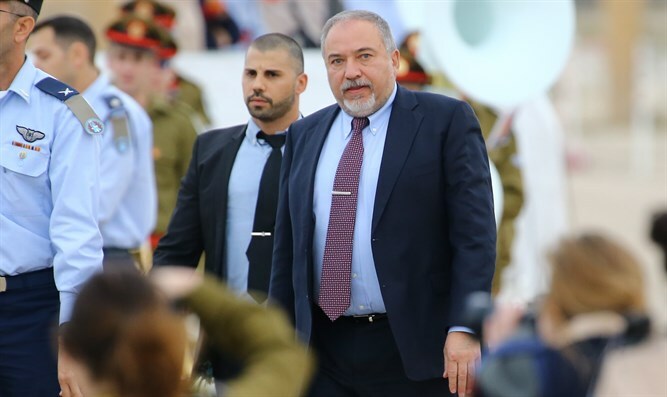 Asked about the possibility of Israel hitting Iranian military positions in "Iraq or Tehran," Liberman said: "We do not limit ourselves to Syrian territory alone. It must be clear." On Sunday, Israeli Prime Minister Binyamin Netanyahu held talks with US special representative for Syria engagement James Jeffrey on the war-ravaged country and Iran.